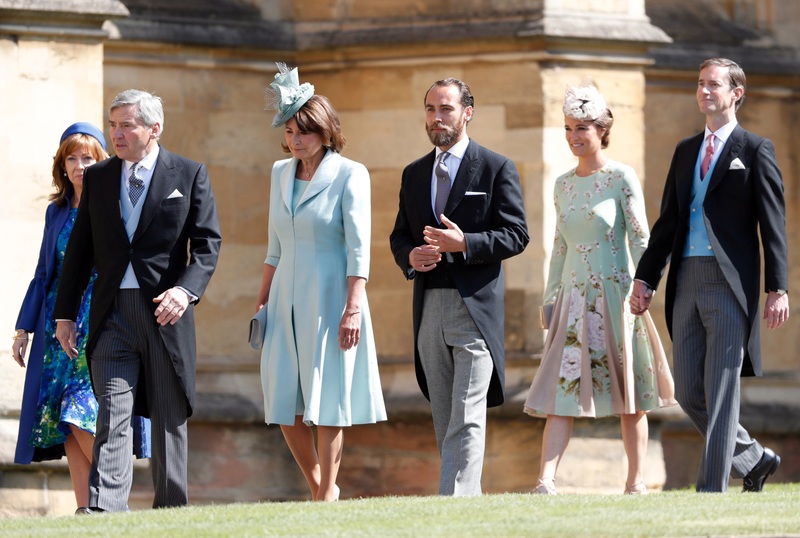 Over the years, the Duchess of Cambridge's mother, Carole Middleton, has maintained a dignfied silence in the media - opting never to talk about her very famous daughter and son-in-law. But now, the Middleton matriarch has taken part in her first ever interview, discussing her business, Party Pieces, her home life in Bucklebury, Berkshire, and being part of one of the most well-known families in the world. Speaking in The Telegraph, Prince William’s mother-in-law spoke sweetly about her family – but admitted that as her children grew up and forged their own paths, she had her concerns. Her comment could well be a reference to Catherine’s entrance into the royal family – famously, a difficult path to tread. She also went on to praise both William, and Pippa Middleton’s new husband, James Matthews – and even hinted at her hope for her only son, James, to marry. During the interview, Carole also confessed that after she was thrust into the spotlight, along with her whole family, she made sure to read stories about herself to keep on top what was being said. But now, she’s stated that she’s stopped doing it – as it makes no difference. The 63-year-old also revealed that she is still very hands-on with her family, namely with her grandchildren, Prince George, Princess Charlotte, Prince Louis, and Pippa’s new arrival, Arthur. And while she acknowledges that her family events can sometimes be a little out of the ordinary, they’re all just normal to her. Carole said, “I love it. I’m definitely hands-on. I don’t find it complicated. The mum-of-three and businesswoman also spoke briefly about her daughter Catherine’s royal wedding back in 2011, revealing that she was very much involved in the planning. Carole revealed, “We talked about music… everything. I was involved lots with both Pip’s and Catherine’s weddings.